Just a few months after the release of the OnePlus 3, the company has released a followup that’s designed to take things to the next level: the OnePlus 3T. 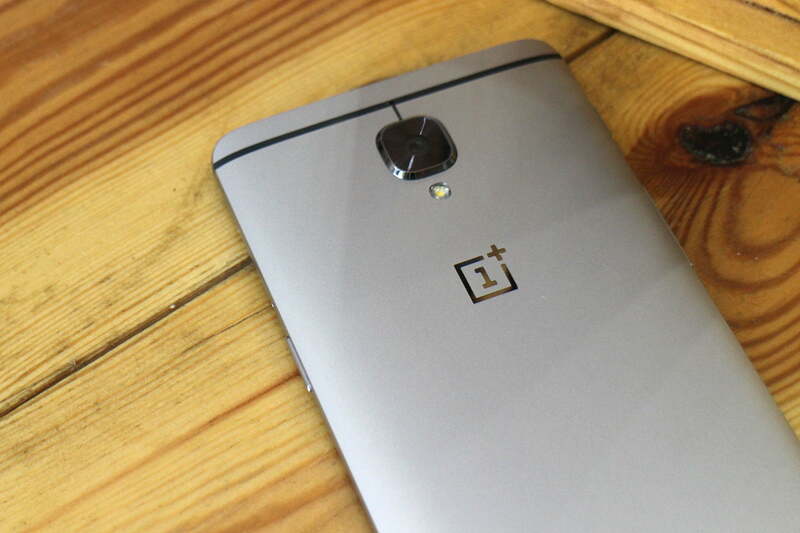 The device boasts a few key improvements over the original OnePlus 3, most notably when it comes to processing power. But is the bump to the Qualcomm Snapdragon 821 processor worth the upgrade? And if you’re in the market for a new smartphone, should you spend the extra cash on a new phone, or simply opt for the less powerful one? Here, we compare the OnePlus 3 and the like-minded OnePlus 3T to see which is right for you. DT Review 4 out of 5 stars Coming soon! As you can probably see, the two phones are very similar aside from a few key differences. The biggest one? Probably the fact that the OnePlus 3T features a Qualcomm Snapdragon 821 processor instead of the Snapdragon 820 found on the OnePlus 3. You might be wondering how much of a difference this makes in real life, and that’s a fair question. Turns out, the Qualcomm Snapdragon 821 is really just an overclocked version of the 820. What this means is that it runs at a higher frequency and thus can process more in a shorter amount of time. According to Qualcomm, the 821 offers a 10-percent increase in performance over the 820, which gives phones equipped with the new chip a slight edge. It won’t make a major difference when it comes to performance, but power-hungry users will likely notice the difference between the two chips. If you have a phone with a Snapdragon 820, however, there’s really no need to upgrade. The OnePlus 3T also boasts an extra storage option. Now, instead of being stuck with 64GB of storage, you can opt for 128GB. Most people probably won’t need that much storage, especially the more cloud-savvy users, but having the option is certainly nice. The upgraded processor and additional storage option represent the only big differences in the performance department. Both phones still sport 6GB of RAM, which is great considering the fact that 6GB is well ahead of most flagships. The OnePlus 3T has a slight edge here, though. The design of both phones is nearly identical — they’re both 7.4-millimeters thick and tout the same dimensions. That doesn’t mean they’re overly thin, but they’re not bricks either. If you’re looking for an ultra-thin device you won’t feel in your pocket, however, neither of the two phones is probably the right choice for you. The only difference in the design department is that the OnePlus 3T is available in a few new colors. The original device was only available in Graphite, but the 3T is available in Graphite in addition to Gunmetal and Soft Gold. The additional color options probably won’t make or break it for most people, but it’s nice to have the additional options. 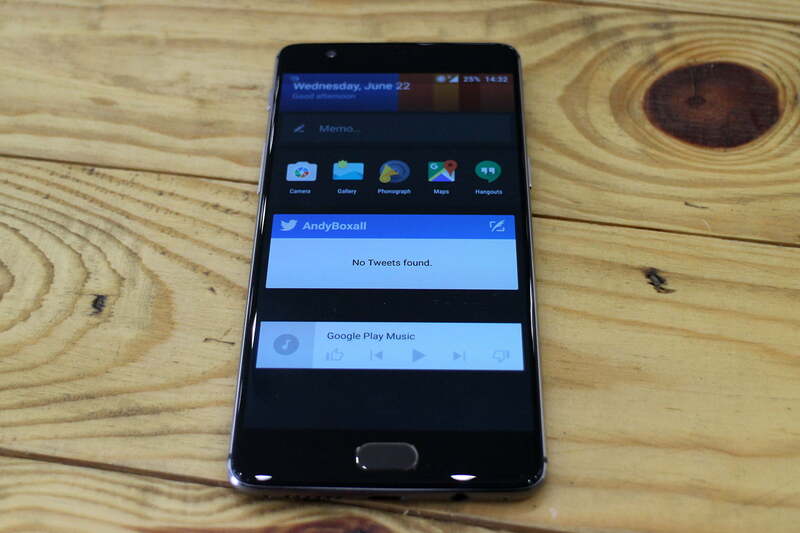 The OnePlus 3 is an excellent device, and most of its specs are ahead of the curve. The battery life, however, was more on the curve. The 3,000mAh battery provided around a day and a half of use, putting it on par with every other Android device available today. The OnePlus 3T takes things to the next level with 3,400mAh battery, however. It’s likely that some of the extra juice will go toward powering the more capable processor, but, hopefully, it will also allow the phone to last longer with each charge. Both devices also come with the Dash Charge feature, which is pretty zippy. In our testing, the OnePlus 3 went from 0 to 100 percent battery life in an hour and 14 minutes. It will likely take the OnePlus 3T a little longer to charge, but the fact remains that Dash Charge offers yet another incentive for either phone. One of the ways that OnePlus seems to cut costs on its phones is by using a display with a lower resolution than what other companies might offer. That’s not necessarily a bad thing, though. Both phones come equipped with a 1,080 x 1,920-pixel Super AMOLED display, which offers bright colors and 5.5-inch slate on which to work. The display is the same on both of these phones, so there’s nothing to compare here. While the display might be the same, the cameras are slightly different — at least when it comes to the front-facing shooter. First, let’s talk about the rear-facing camera, which is largely the same between the two phones. Both have a 16-megapixel sensor with a f/2.0 aperture, which is great for taking low-light photos. There is a difference between the two cameras, however, in that the OnePlus 3T boasts OnePlus’ “Intelligent Pixel Technology,” which basically reduces low-light noise. The 3T also has a sapphire lens and better electronic image stabilization, though they both tout the same Sony-built sensor. The front-facing camera on the OnePlus 3T is more of an improvement over that of its predecessor. 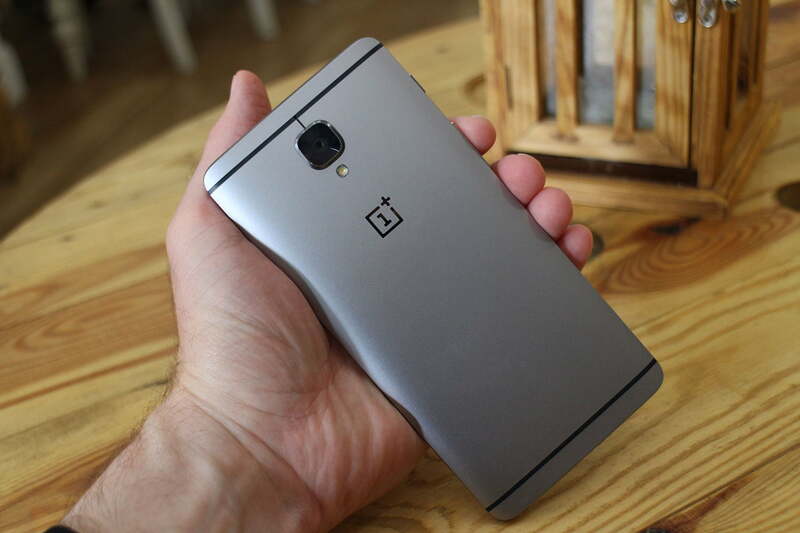 Whereas the OnePlus 3 featured an 8-megapixel sensor, the OnePlus 3T comes equipped with a hefty 16-megapixel sensor. The new camera also features a new “smile to capture” mode, which allows you to automatically capture a photo when you smile. 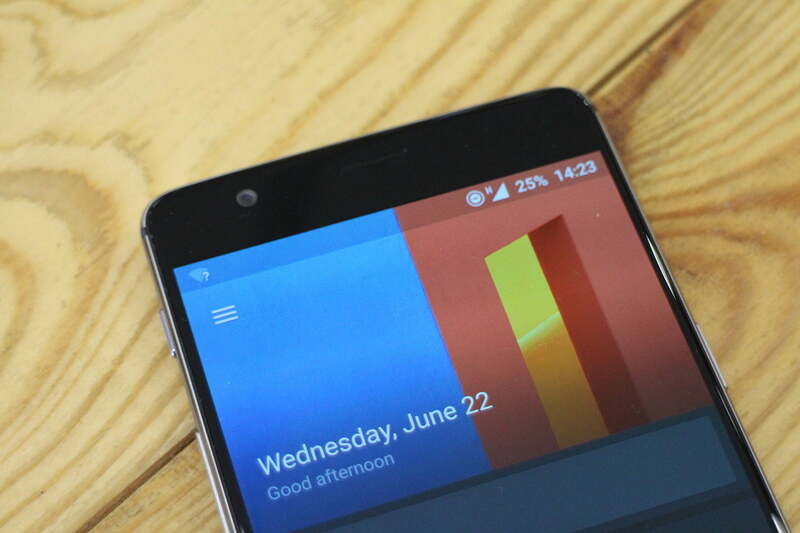 Both the OnePlus 3 and OnePlus 3T boast the company’s proprietary Oxygen operating system, and they both come with Android 6 Marshmallow, rather than Android 7.0 — although they should both get the update in the near future, at least according to OnePlus. Oxygen OS is a standard Android overlay — there isn’t much in the way of bloatware, and there are really only a few interface tweaks. If you’re a fan of stock Android, this is about as close as you’ll get without having to use actual stock Android. Unlocked versions of both the OnePlus 3 and OnePlus 3T are available directly from OnePlus, and as you would expect, the 3T is a little more expensive than its older sibling. Whereas the OnePlus 3 starts at $400, the new 3T sits at $440, which means you’re netting a better processor and a better camera for only $40. 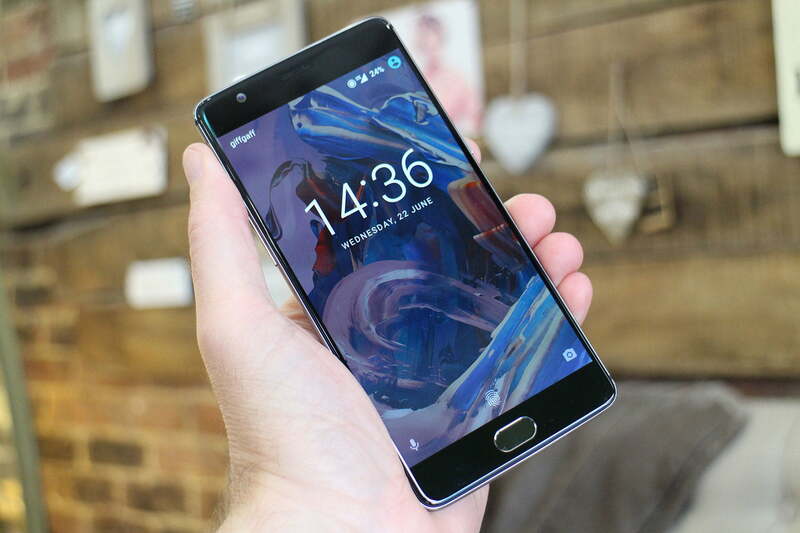 Unfortunately, if you prefer to save the cash and get the OnePlus 3, you’ll have to head to eBay or another online store, because OnePlus has ended sales of the OnePlus 3 in Europe and the United States. The OnePlus 3T will go on sale on November 22, and you can get it directly from the OnePlus website. Let’s make something clear: the OnePlus 3T is obviously the better smartphone. It features a quicker processor, an improved front-facing camera, and the latest version of Android. We think it’s worth the extra $40, but only if you’re in the market for a new phone — there’s really no point in upgrading to the 3T if you already have the OnePlus 3. If you are looking to upgrade from your OnePlus 3, however, we recommend waiting until the OnePlus 4.